America may be getting a pay raise. 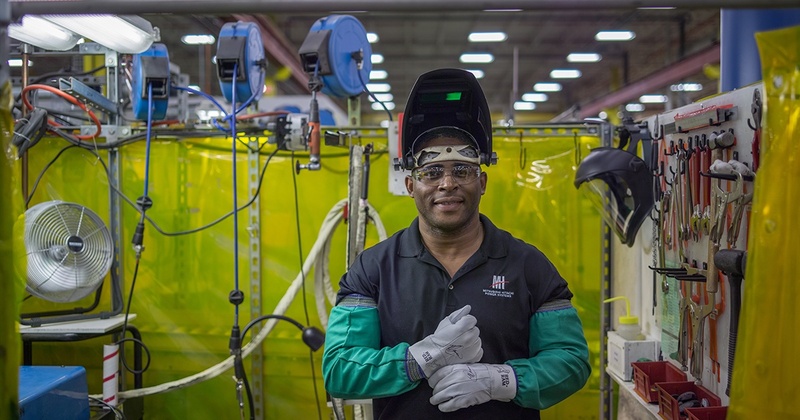 New data released by the Bureau of Labor Statistics (BLS) in February suggest that Americans are at last seeing their wages rise at a healthier rate since the 2008 recession. Posting 2.9 percent year-over-year wage growth in January 2017, the BLS Employment Situation report painted a picture of a sturdy job market with wage gains, record low unemployment rates, and minimal changes to the number of people working part time for economic reasons. Exploring 11 years’ worth of data, ranging from 2007 to 2017, we can estimate the strength (and direction) of the relationship between labor force growth, jobs added, the unemployment rate, national hourly wage, among other variables and Orlando’s average hourly wage. We break down the exploratory relationship dynamics into three key takeaways. 1) The national average wage is a strong indicator of Orlando’s average wage. No surprises here. Our model predicts that for every dollar increase we see in the national average wage, Orlando’s average wage will increase by $2.00. This makes the most recent BLS report even better news for Orlando. A 2.9 percent (75 cent) wage increase for the country translates to a $1.50 hourly gain for the average Orlando resident. When the country is experiencing a slight percentage increase Orlando surges ahead; and when we see national dips, Orlando’s dive is even greater. 2) Low unemployment signals wage growth. The relationship between Orlando’s unemployment rate and the hourly average wage is negative. As more and more people become employed, employers must raise wages to compete for talent. This is good news for Orlando’s workers considering that our current unemployment rate, 3.3 percent, is the lowest it has been in over a decade. 3) Labor force growth works against wage growth. A growing labor force is generally the sign of a positive job market and can be influenced by several factors. We’ve seen a modest increase over time in the number of previously discouraged workers reentering the economy, as well as a continued flow of labor from other states. Worker demographics shifts can increase labor supply as an increase of people reach prime working age and chose to start their lives in Orlando. All of these factors signal that people are optimistic about their chances of finding a job in Orlando and that the region has steadily expanding employment capacity, which is something we know to be true given that Orlando has been the number one MSA in the country for job growth now three years in a row. It appears this influx of talent is having the net effect of relieving wage pressure. It is also worth noting that this relationship holds true at the state level. Replacing Orlando’s labor force data with Florida’s in our model, we find that there is still a statistically significant, negative relationship between labor force growth and wage growth. The second model estimates that, all other factors held constant, for every 262,000 people added to the state labor force (the same number added between 2016 and 2017) Orlando’s average, hourly wage could fall as much as $1.07. Put simply, the model suggests that as more workers enter our state economy, upward wage pressure is reduced counteracting the impacts of low unemployment rates. For Orlando, the fastest growing metro in the country located in the third most populous state in the nation, we believe this means that wage growth will continue to be an uphill climb despite our low unemployment rates.